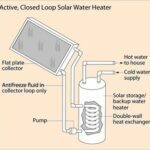 Problems with your tankless water heater? This expert advice walks you through typical repairs for both gas and electric tankless water heaters. 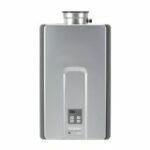 Tankless water heaters needs to be kept clean inside and properly adjusted for efficient heating. Follow the manufacturer’s recommendations. To keep a tankless water heater functioning flawlessly, flush it out once or twice a year. Need water heater help NOW? 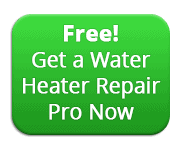 Get a Water Heater Repair Pro Fast! With a gas tankless water heater, the burner may get clogged, resulting in hot spots that can burn the heat exchanger. 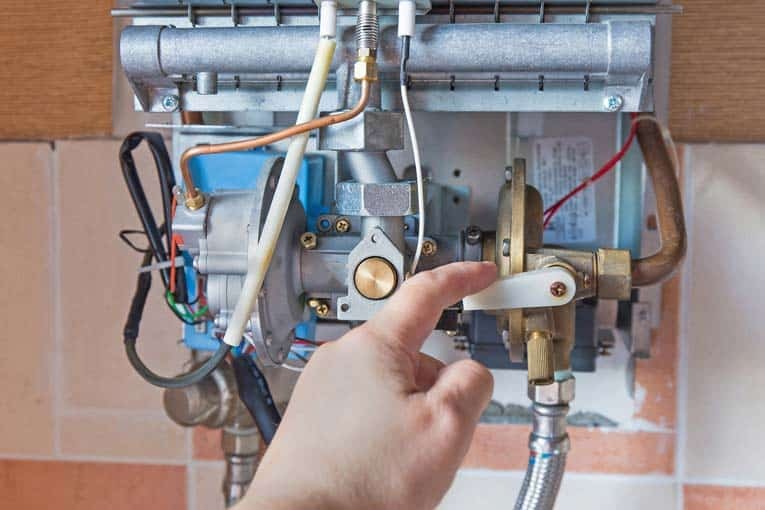 If you see some parts of the burner are not producing flames, shut off the water and gas, remove the burner, and clean out the apertures with a small wire. Replace the burner and test the unit. Tankless water heaters run water through small apertures, so it is important that your water quality be at least fairly high. If your water is hard, install a water softener if you do not already have one. If your local water’s hardness exceeds 8 grains per gallon, you may need to install a water filter prior to installing the water heater. Because of the small apertures inside a tankless unit, it may need to be flushed every six months to two years. If the water supply slows, it may be time for a flush. You can hire a plumber to do this, or you can do it yourself. You’ll need a small sump pump or submersible pump, a 5-gallon bucket, two hoses, and 2 gallons of white vinegar. Remove the unit’s cover. Turn off the water inlet and outlet valves. On a gas unit, also shut off the gas and unplug the electrical supply or turn off the circuit breaker. On an electric unit, shut off the 240-volt circuit breaker or flip the disconnect switch in the subpanel. 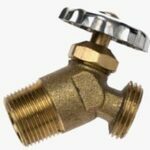 Pull out the silver tab in the center of the pressure-relief valve to relieve the water pressure. Shut off the pump. Unscrew the housing for the inline filter, which is usually located near the water inlet. Take out the screen filter, clean it, and then replace it. Take the pump out of the bucket and run it briefly to eject any remaining vinegar. Empty the bucket and fill it with clean water. Put the pump in and turn it on to run clean water through the system for a few minutes. Disconnect the hoses and then turn on the water and power. If you have difficulties, contact a qualified local water heater repair person. 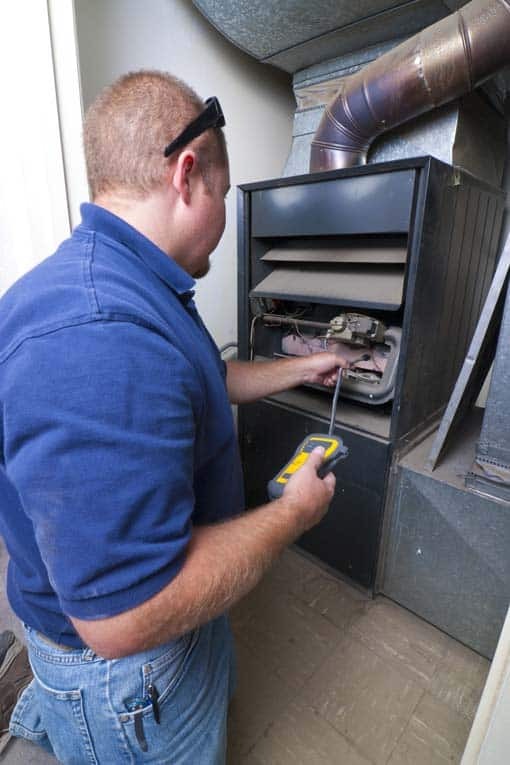 Consult the manufacturer’s literature to locate the heating element. Shut off the power to the unit. Shut off the water supply to the unit. Open the hot water handle of a nearby faucet so water can siphon out. Remove the screws on the unit’s underside that hold the heating chamber plate, remove the plate, allow the water to drain out, and replace the plate. Disconnect the wires leading to the heating unit, which may be held in place with screws. Wrap a rag around the heating element to keep water from dripping down. 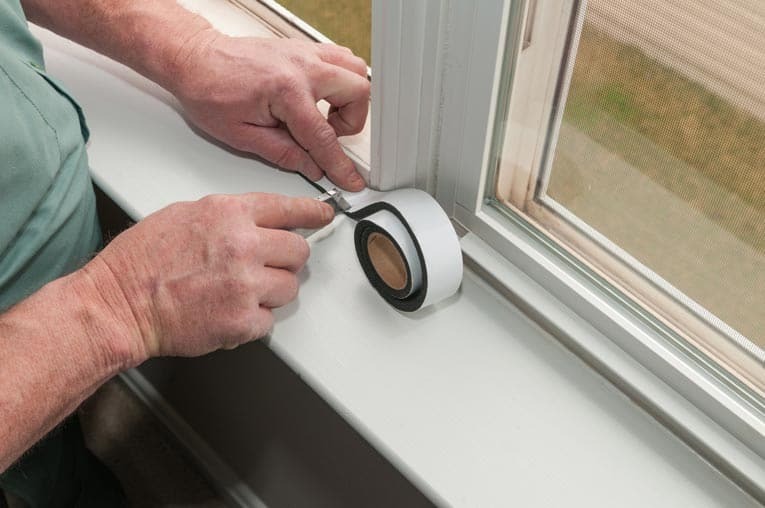 Use an adjustable wrench to loosen the nut holding the heating element in place and remove the element. Buy an exact replacement and install it, making sure the O-ring is properly seated. Turn the water back on, restore the power, and test the unit.